Now your father can rule the grill while looking stylish, thanks to the Dad: The Man The Myth The Legend Apron. 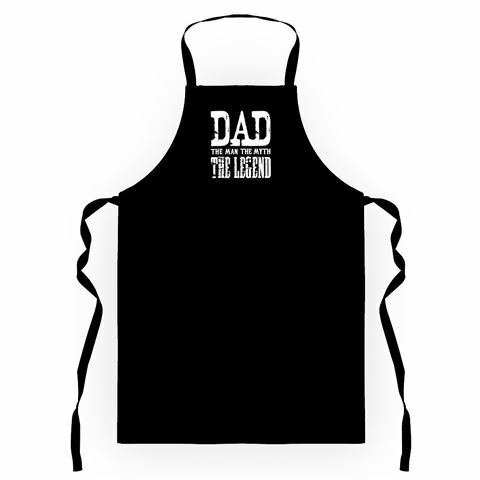 Crafted from 100% cotton, this apron includes ‘Dad: The Man the Myth The Legend’ on the front and protects your dad from any stray spills or spatters. Embellished with ‘Dad: The Man The Myth the Legend’ on the front. Halter neck strap and tie-up waist straps. Dimensions: 79cm (h) x 60cm (w).